In 1920, a Secret Court of elite men conducted a bloody, unjust purge of Harvard's homosexual community. Thrown off a bridge and left for dead, Nate accepted a deal with the devil, becoming an immortal ruler of the shadowy Netherworld. Since then, he has made it his mission to hunt down and punish the descendants of the men responsible for all that suffering. This is a story where the sons most certainly pay for the sins of the father. It is a story not of justice, but of vengeance. Having lived with his pain for nearly a century, Nate has had plenty of time to hone his hated, seducing generations of innocent men, taking them captive, and feeding on their sexual energies like a perverse sort of vampire. Holden does such a good job of establishing his characters that it's all too easy to become emotionally invested in the tale. 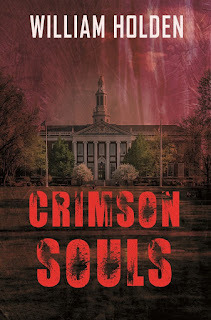 The blood and the brutality make this a chilling book, but the betrayals of friends and lovers make it a terrifying one. It's all too easy to understand and sympathize with their suffering, and to fear for their fates. It gets to the point where you don't want anybody to taste happiness, because you know it's not going to last. 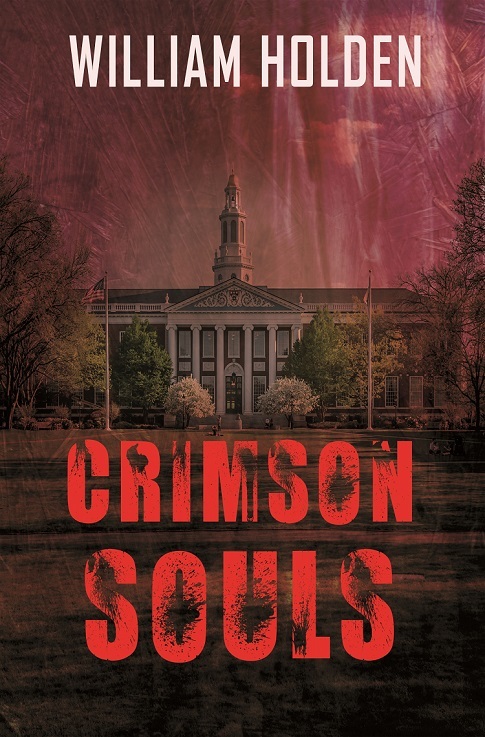 Crimson Souls is not for the faint of heart. It's unforgiving in its brutality and unflinching in its sexuality. This is a story that starts out dark, only to get darker, and finishes at its darkest. The final confrontation is absolutely gut-wrenching, so much so that I still can't believe Holden went there.